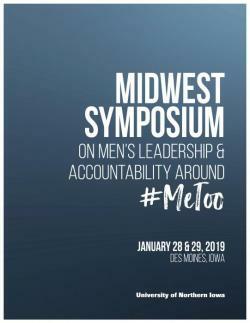 Join national and international thinkers, writers and practitioners to discuss strategies and approaches to reducing and eliminating male violence. Monday, January 28, 2019 | 5:00 - 8:30 p.m.
Tuesday, January 29, 2019 | 8:30 a.m. - 3:30 p.m.
Register today! Only 200 spots available.